A Live Window Display at Harvey Nichols where live mannequins were painted into Jean Paul Gaultier Diet Coke bottles with body art. 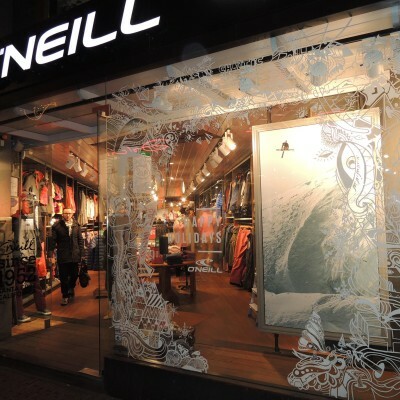 Chaotic Bastards did a Live Art window display at the O’Neill store for the holidays. Pupils have been out and about supporting the bid including GSOS Gymnasts performing a live window display at John Lewis with Olympic Gymnast Steve Frew. 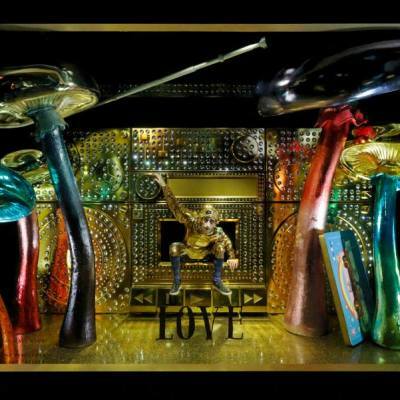 The theme of Barneys New York Holiday windows is called ‘BAZ DAZZLED’, dazzling you with mechanical masterworks and live performances in the windows. 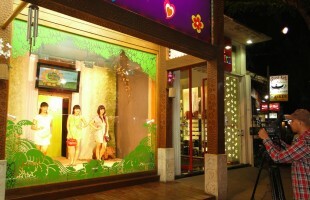 In June 2009 Surfer Girl unveiled there new window displays in Jl. Legian, Bali. The Live Mannequins were dressed in the latest styles of the Surfer Girl brand where the the was “Fun Hoidays”. During a special event at Surfer Girl Live Mannequins were dressed in summer pastel colored dresses. Jayoon Choi is an illustrator who draws tiny images of people in their everyday life. 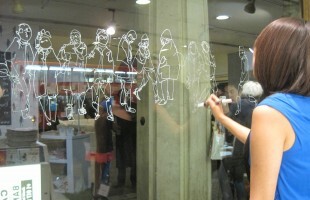 Here she draws on the Heal’s window displays in London Tottenham Court Road. In a store that sells bed textile they created a typical girly teenage bedroom with the pink, teddybears, magazines and the girls off course. 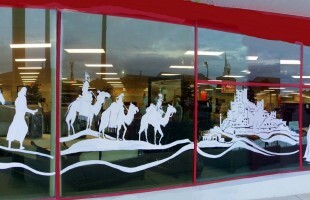 Not really a window display, but still pretty cool. 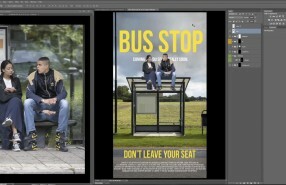 Check out Adobe Creative Day ‘Street Retouch Prank’. 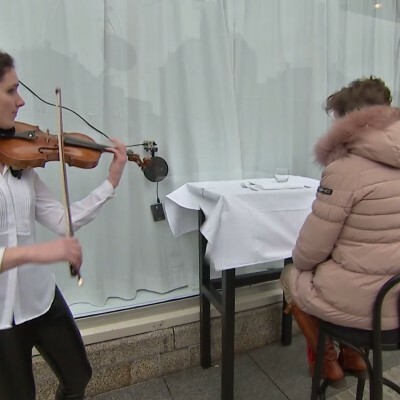 Dutch department store surprised passers-by with a Valentine Live window display. 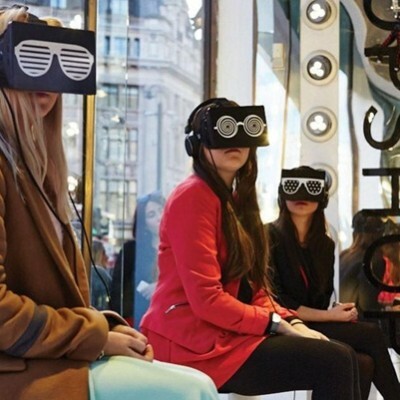 TOPSHOP collaborated with technology agency, Inition, to create a virtual reality window display.